New year, new set. NikeCourt and Liberty of London have come together for an unmatched collaboration. The collection brings together three icons, the NikeCourt Tennis Classic Ultra, the Air Max 1 Ultra and the Roshe Cortez, and each silhouette comes artfully adorned with an exclusive Dawn Meadow print from the Liberty Design Studio. 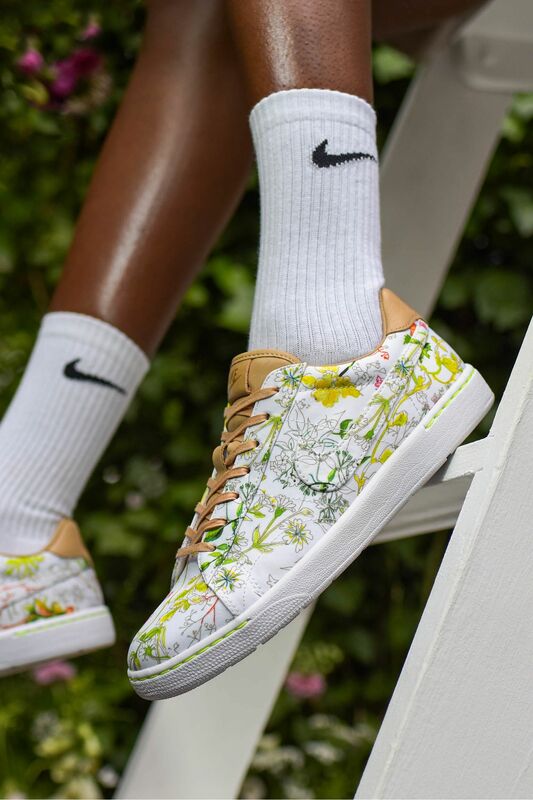 Serving up premium comfort with the finest materials, the updated NikeCourt Tennis Classic Ultra showcases Liberty's wildflower-inspired Dawn Meadow print in grand fashion. The floral finish is elevated with premium leather detailing, embossed logos and a Nike Ultra sole for lasting comfort. Born in 1987 and still a perennial innovator, the Air Max 1 Ultra is presented like never before. A new, transparent mudguard allows for all-around storytelling emboldened by Liberty's exclusive Dawn Meadow botanical print. Lightweight Nike Ultra tooling enhances comfort while maintaining the style's classic look. 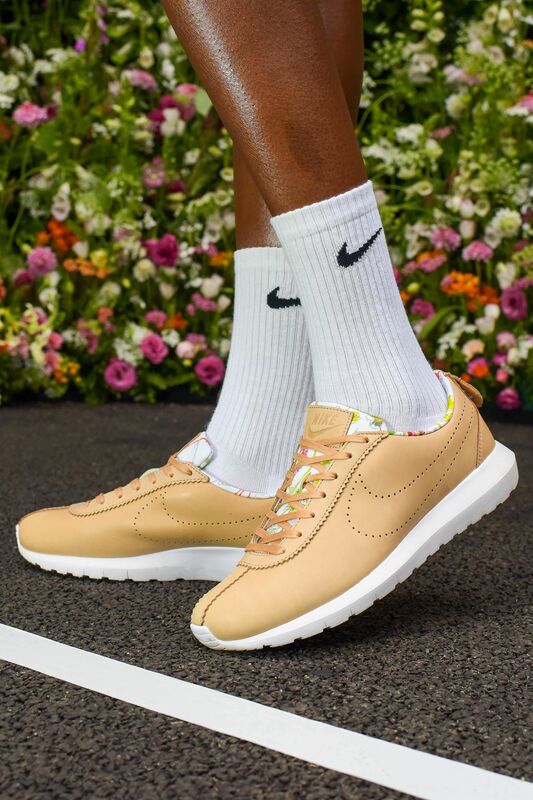 Rounding out the collection, the Roshe Cortez is elevated with natural-toned leather and Liberty's Dawn Meadow botanical print presented in a more subtle fashion. Embossed logos, a perforated Swoosh and a flexible sole further the silhouette's premium touch. 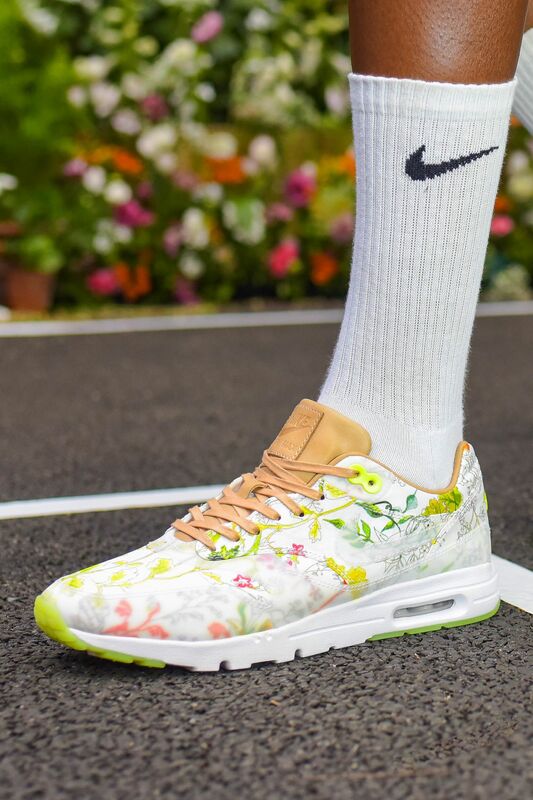 Available on 25 June at 2pm GMT, the collaborative collection from Nike and Liberty makes the perfect set for summer.